The rules and systems are all placed here. Please read them before creating a character and doing any form of roleplaying. Rules include things such as posting counts, how to train, and the likes. If you break any of these rules expect penalties to be placed. Anything that the staff needs to let you know about are located here. These include events, activity checks, and the more important updates. Check back here often to see if there's something that you need to see that is vital to your roleplaying experience. Have any suggestions for our site? Need some help on getting around? Post here and a faithful member will be with you shortly. Need someone to plot with? Place a list of your characters here! Want someone to play a family member, rival, or other significant character to your own? Put an ad here. Establish alliances and relationships here as well, or just keep track of your characters lives. Have you already been approved and want more Jutsu? Apply for canon or custom ones here! Wish to become a master swordsman but need a sword? Has your last puppet been destroyed in battle? Apply for new equipment for your shinobi here! You automatically get basic weaponry, such as: kunai, shuriken, and senbon - so no need to apply for them. Canon clans can be applied for, but will have to have an application made as well. Here you can keep an updated Character Sheet that other members can see. Be sure to add any new Jutsu, Weapons, or Abilities to this sheet. You must have what you have acquired on your sheet before you can Roleplay with them. The Land of Fire was the first country to adopt a ninja village, Konohagakure, a custom other countries would soon adopt. The Land of Fire is appropriately oriented towards the element of fire, typically having very bright and warm weather. While not the physically largest country, it has the largest hidden village. The Land of Fire has been involved in wars with the Land of Lightning, the Land of Earth, and the Land of Wind. In the quiet years that followed, the Land of Fire slowly recovered, and became accustomed to peace. This was seen by other countries, who had been working to increase their military power, as a weakness, and is one of the factors that brought about the invasion of Konoha by Otogakure and Sunagakure. On the border between the Land of Fire and the former Land of Sound sits the Valley of the End, a large rift formed shortly after the founding of Konohagakure by the First Hokage and Madara Uchiha. The Land of Wind is one of the more prominent countries in the world. It is located to the south-west of the Land of Fire and borders the Land of Rivers and the Land of Rain. Its government leader is the Wind Daimyō. The country covers a vast realm, but that realm is largely composed of deserts. Because there is very little rainfall throughout the year, the people of the country live in villages built on one of the desert's many oases. Despite the country's extremely harsh environment, it has a large population. Although they have warred with each other in the past, the Land of Wind is on good terms with the Land of Fire, with a great deal of trade going on between the two countries. The Land of Water is oriented towards the element of water. Its government leader is the Water Daimyō. It is composed of many islands, with each having its own unique traditions. The country's weather is typically cool and full of mist and lakes. In some places it is very cold and snows quite a bit. Little is currently known about it and it apparently leaves itself out of most political affairs, which is understandable considering that it is composed of vast islands relatively remote from the continent containing the other four major countries. 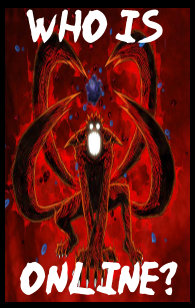 What is known, however, is that the country used to be ravaged by many civil wars, during which clans with Kekkei Genkai were used extensively, causing many to view them as harbingers of war and death, leading to purges and genocide to the point of parents killing their own children. The Land of Earth is located north-west of the Land of Fire. Its government leader is the Earth Daimyō. The country is mostly comprised of desolate, rocky areas. The border of the Land of Earth runs along a rocky mountain range, blocking communication with other countries. The wind blowing from the north passes over these mountains, carrying small rocks from the Land of Earth to the surrounding countries. This famous natural phenomenon is called "Rock Rain". The "Rock Rice Cake" is a regional specialty of the Land of Earth. The crispy texture of the rice cakes is said to be irresistible. The Land of Lightning is located on a peninsula north-east of the Land of Fire and is one of the Five Great Shinobi Countries. Its government leader is the Lightning Daimyō. In the centre of the country are vast mountain ranges, whose many thunderstorms are said to give the country its name. From these mountain ranges, many rivers flow to the sea, creating a very crooked coastline that displays an impressive oceanic beauty. There are many hot springs located within the country. Need to travel to another Village? Come Rp your Travels here! Be sure to read the Rules Thread located inside this board! Located in unmarked territory in between all the Shinobi Nations; this is where all Shinobi come for Examinations. Mainly the Chuunin and Jonin Exams are held here, but other exams such as the rare Anbu Exam are also held here. Shinobi from all different nations travel here and it is the only piece of land that is said to be unobtainable to any Shinobi Nation. All Completed, Dead, and Unfinished Threads will be posted here after each activity check. If you wish for a thread to be revived, please contact an Admin. Here you can advertise your forums here on NSS. Be sure to read the rules that are located inside! Currently we are accepting affiliates. Named so because this is the Spam section of the Forum. All Spam, OOC Fights, Conversations, and Forum Games are to be placed here and not leak out. If you are caught Advertising here, it earns you an automatic ban! This is also the place where you can organize Missions and such!